These days the beach wedding tradition is growing with a faster pace as more and more couples are opting for a less traditional and more relaxed atmosphere for their big day. It continues to attract more couples to the water's edge for their ceremony. Now a beach wedding can certainly be a lot of fun, but it's no easier in planning than any other wedding. The first thing that you will come up with is your wedding invitation because it is a great way to set the tone and give your guests an idea of what's to come. 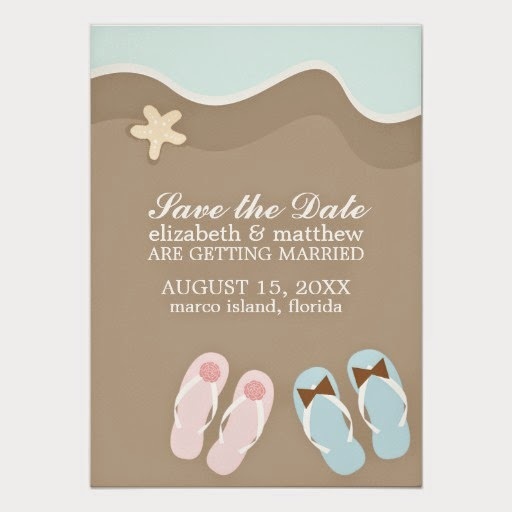 Here are some fun beach theme invitation ideas for a beach wedding. 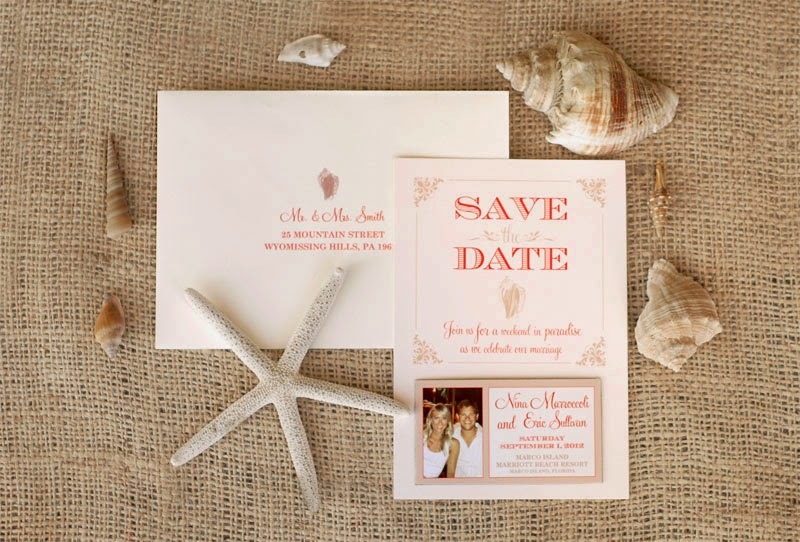 Sea shell style invitations - Sea shell style invitations are my favorite because they bring the beach to life. 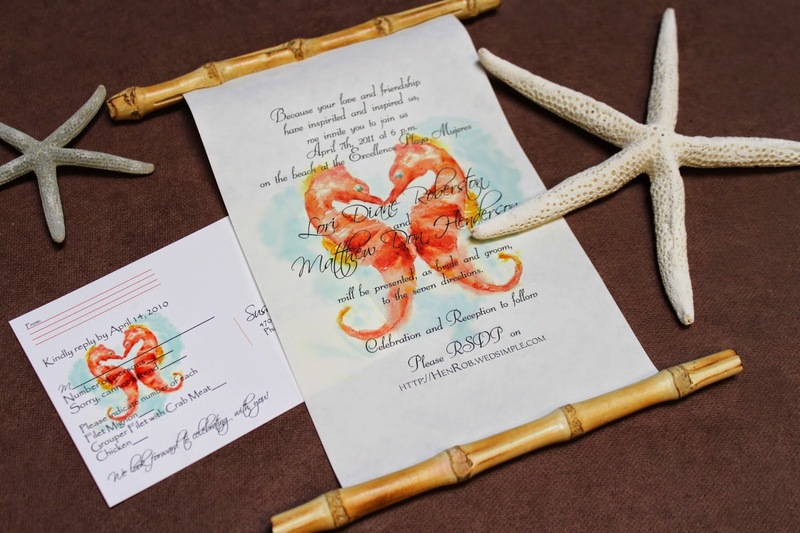 They are accented with real sea shells, raffia and textured sand products where the sliced sea shells add a beautiful and authentic touch to the wedding invitation cards. Even they also seem unique, fun and classic if designed with a pocket fold style. Sandal style invitations - This style invitation is a complete departure from tradition. It is a perfect choice for couples who are having a casual beach wedding. This is still the most elegant and fun style among the beach wedding cards. 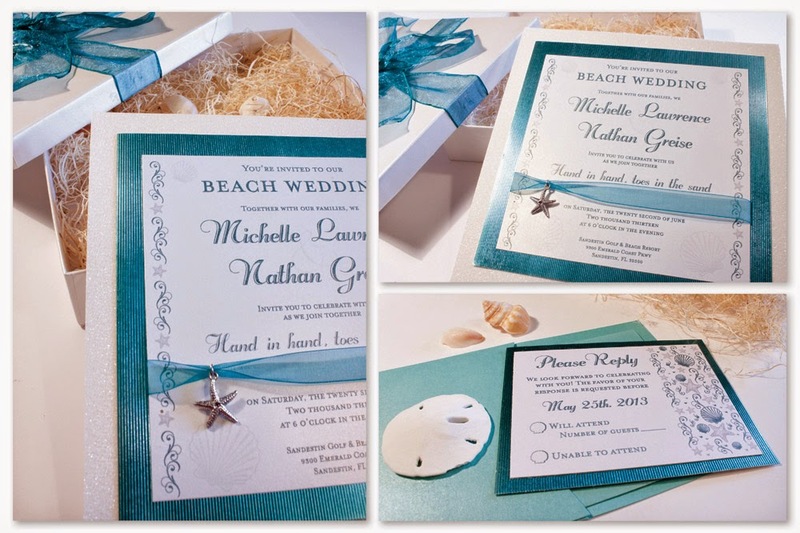 Ocean style invitations - Ocean style is one of the cool styles that uses fun shapes of waves or seashores in the beach theme. To make this style invitation, you simply have to purchase three different bracket sized cards. Use them in different shapes as we see into the depths of the ocean. You can also use darker or lighter shades of blue to give them an ocean feel. Bamboo pocket fold style invitations - This style of invitation cards shows how classy, unique and modern ceremony you are planning. They are considered as the most glamorous style beach invites when adorned with a black lip oyster shell and ribbon embellishment. 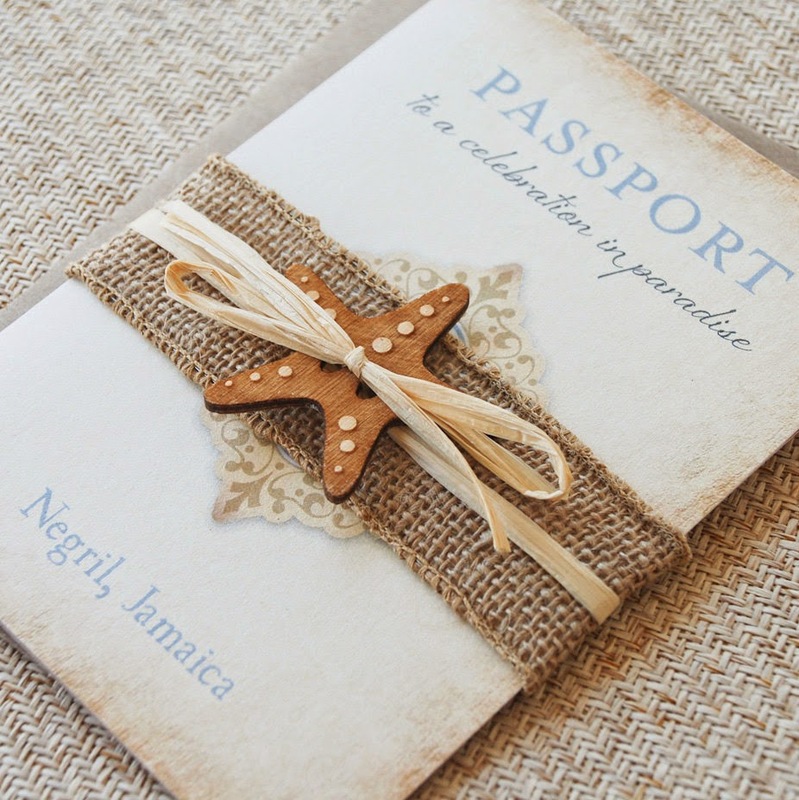 Starfish invitations - Starfish is the most popular style in beach invitations which peoples are opting because of the fact that it is a romantic element of the seas that conveys deep and divine love. Moreover, it also includes some essential pieces you will need for your beach wedding or special events.